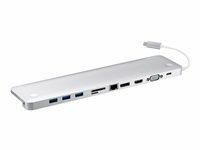 Supports USB Power Delivery 2.0 for charging a laptop via USB-C port; supported power profiles include 20V/3A, 20V/1.8A, 12V/3A, and 5V/3A. 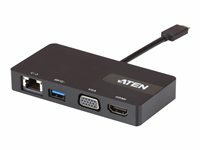 * For video output to work through a USB-C port, it must support DP Alt Mode. 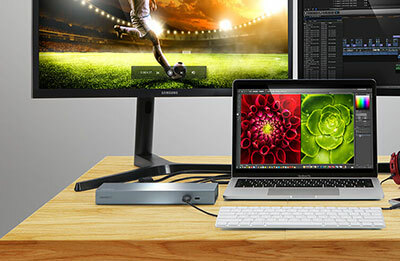 For Dual-View to work, a computer's graphics card must support MST technology. 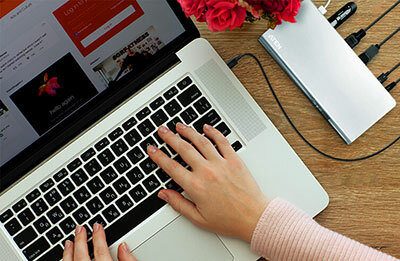 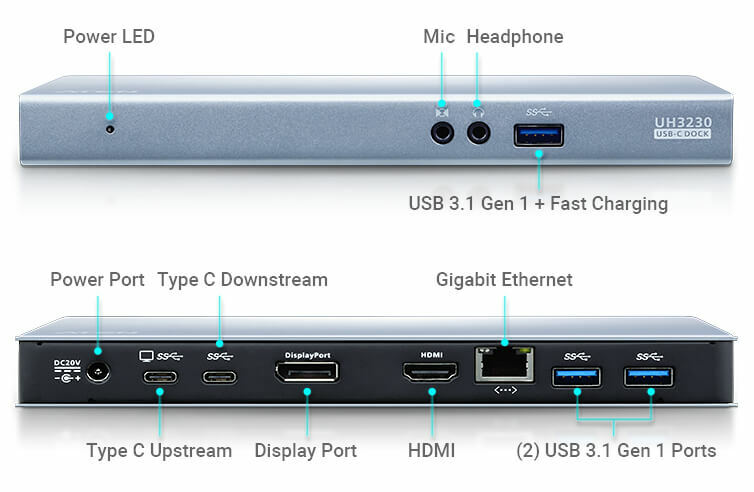 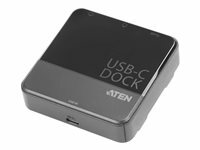 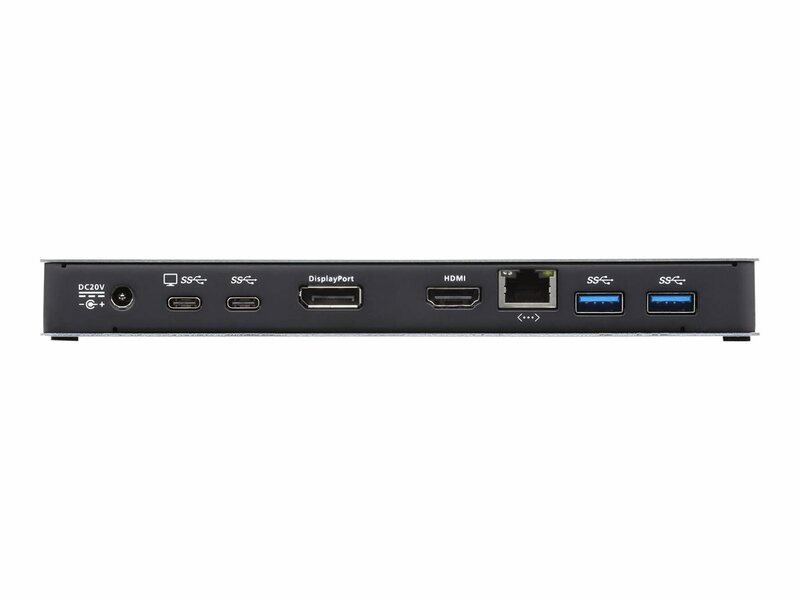 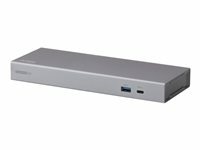 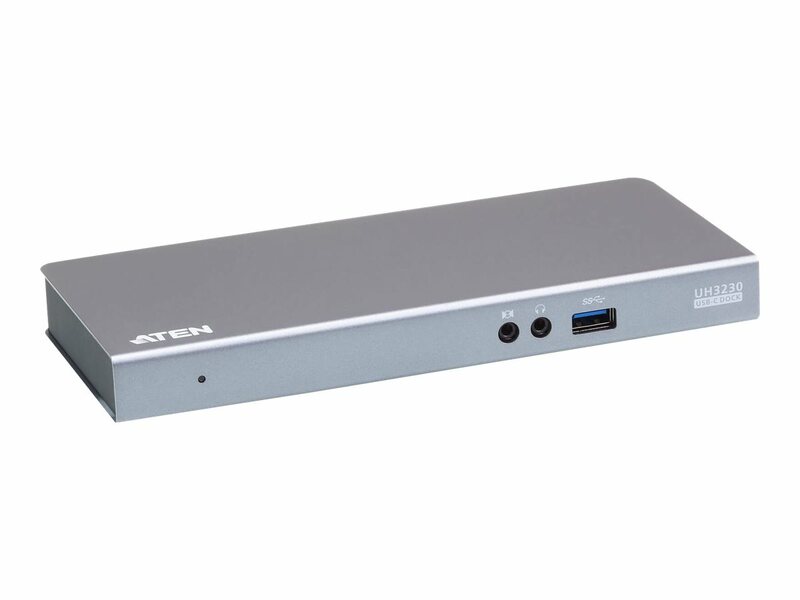 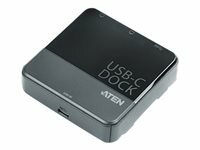 The UH3230 USB-C Multiport Dock connects a USB-C embedded computer to up to 8 peripheral ports that include a USB-C, Gigabit LAN, DisplayPort with Multi-Stream Transport, HDMI, audio and three USB 3.1 Gen 1 ports – through a single USB-C cable. The UH3230 allows your laptop to quickly dock and perform like a desktop computer. 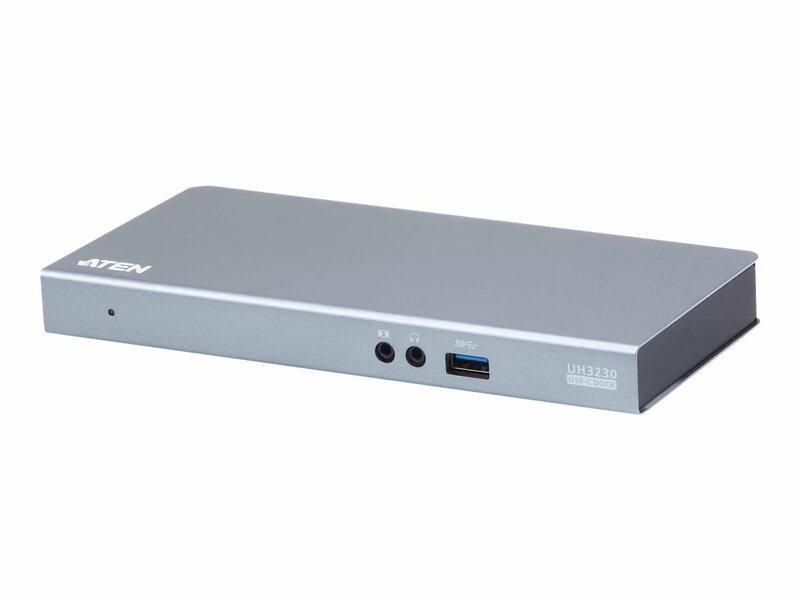 This multiport dock also supports USB-C Power Delivery 2.0, which means the UH3230 can provide power to matched USB-C laptops with PD Profile specifications of 20V/3A, 20V/1.8A, 12V/3A, and 5V/3A.